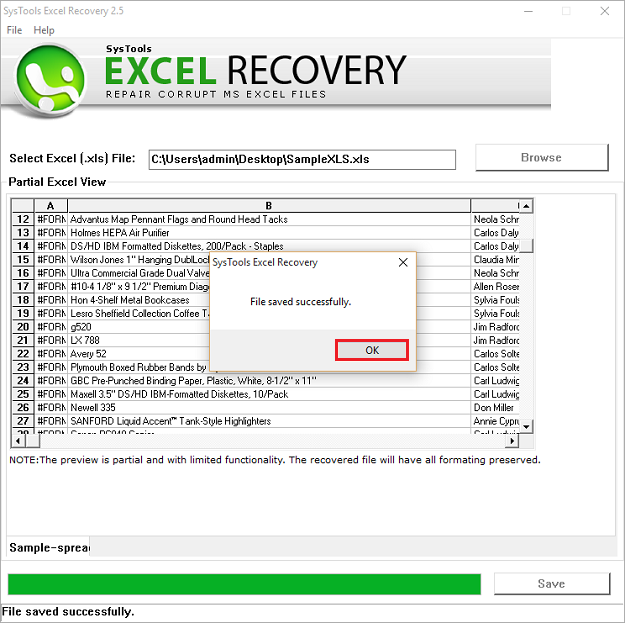 Click on Browse button to choose the corrupt Excel file path. 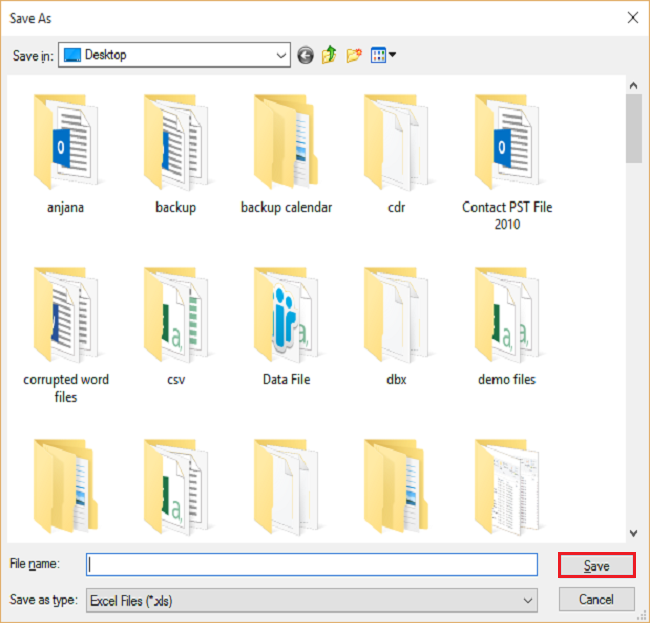 Select the file and click on Open to load it on the software for recovery. The software will begin loading the file which will take a few seconds. Click Ok on the window prompting about the successful loading. 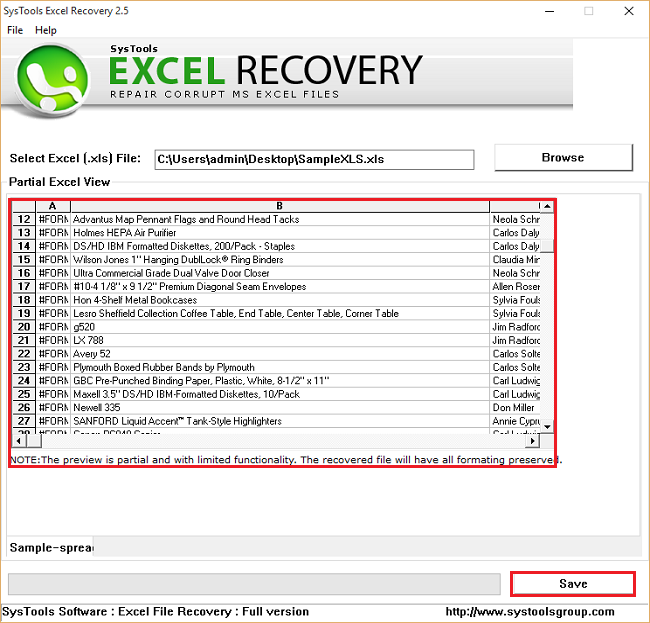 Preview the complete Excel sheets and make sure the contents are correctly recovered. 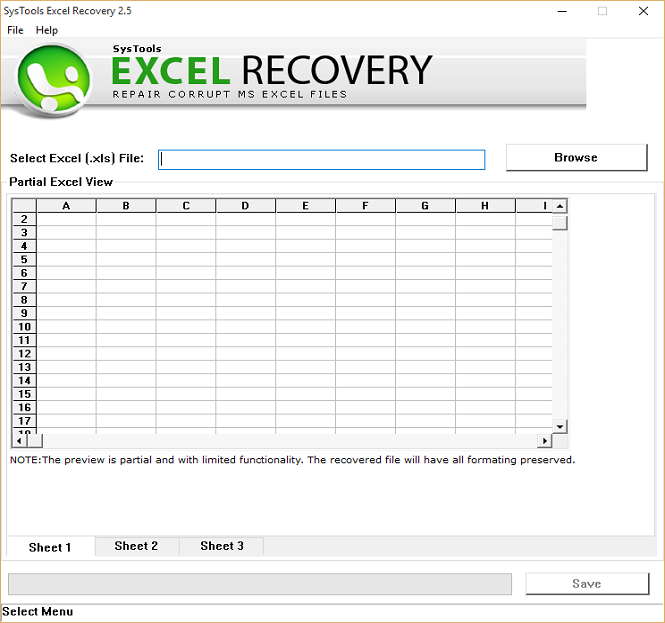 Click on “Save” button to save the recovered Excel file. 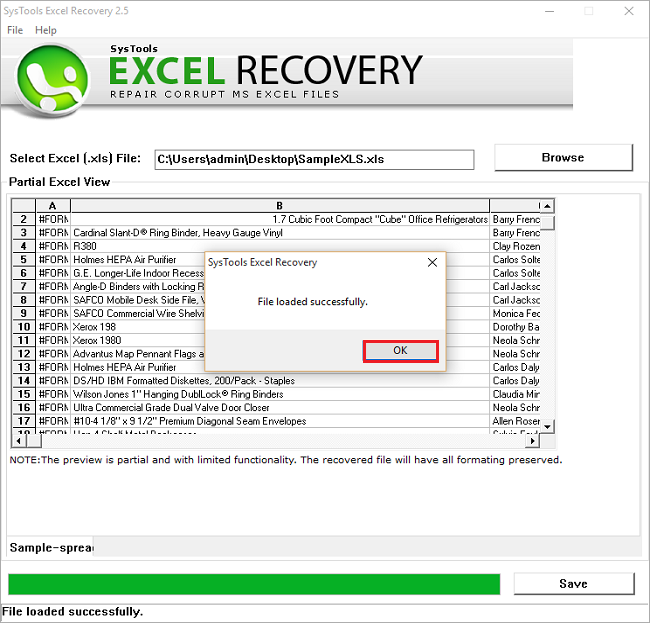 Choose a desired destination location for saving the recovered copy of your Excel file and click on Save. A wizard indicates that the file is saved successfully once it's saved. Click on Ok and close the software.